Mixed Feelings Dazed Thoughts: Formidable but unforgettable KALINJAR! 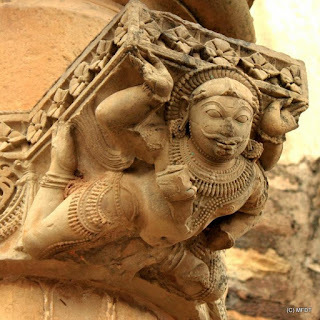 Bundelkhand to me has always been a land of surprises, not just in terms of its diverse landscape, rich culture, immense history but also the change each season brings. 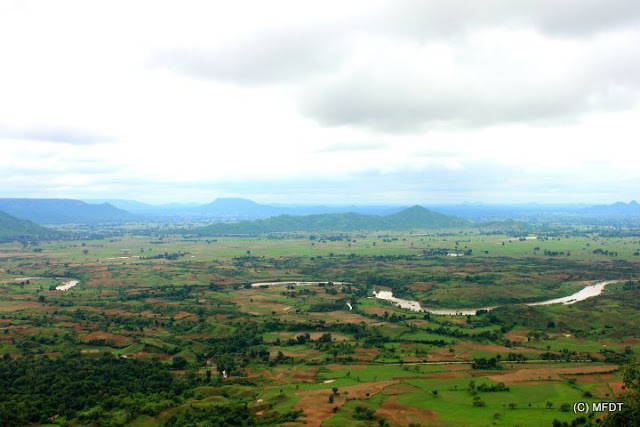 The arid brazen vistas of summers metamorphose into a lush terrain at the approach of monsoons and being the romantic at heart that I am, I can not help reminiscing about my days in Banda and the eagerness with which I would always look forward to any visit to Kalinjar Fort. While a number of online websites and books could yield tons of 'information' about the place, despite the intervening time and distance, the special niche that this place occupies in my heart and the cherished memories I treasure in my thoughts and dreams can not be described in words alone. I have been wanting to write this post for a long time and would not have found peace otherwise. To every family member and friend and officer who visited the fort on my recommendation, I would always compare it with Agra and Delhi fort. 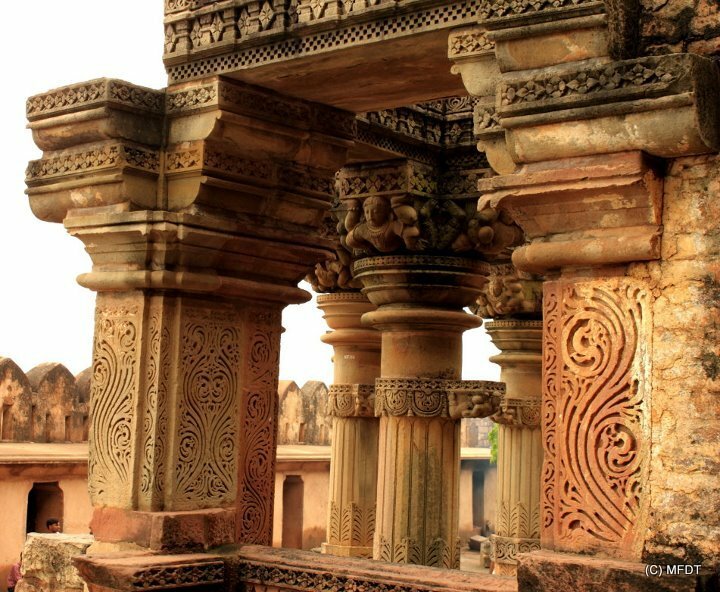 The forts in Delhi and Agra attract millions of visitors each year, are well maintained and sprawling in their own right but for me pale completely in comparison to the workmanship of Kalinjar. Delhi and Agra are both places close to my heart and my home for important years of my life but Kalinjar remains unmatched. The sheer history associated with the place seems to stretch from times immemorial. Even for the not so religious minded, the intricacy of sculptural marvels is awe inspiring and one cant help but imagine why the ruler of the fort was given the title of 'Kalinjaradhipati'. 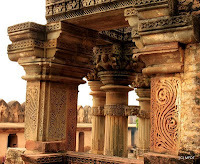 The fort was once considered to be a huge storehouse of the riches of Chandelas. 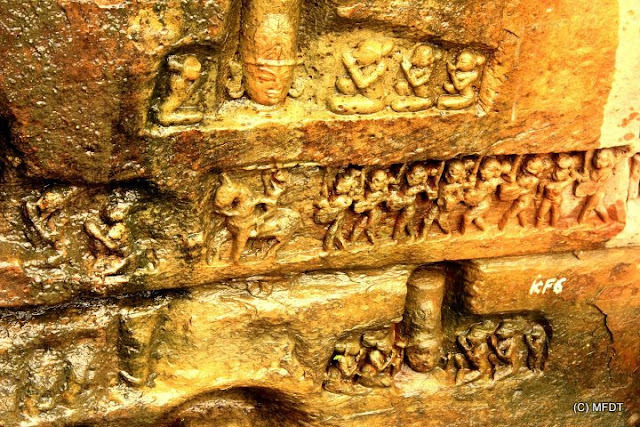 No wonder that during the various attempts to capture the fort, the invaders caused visible damage to the sculptures in a bid to recover some of those riches. 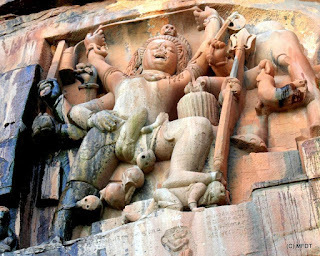 Surprisingly, the shrine has never been promoted as a cult centre of Shaivism despite its proximity to the world renowned Khajuraho Temples and its immense potential for the same. For the believers, the perpetual water source on the top of a barren hill could be nothing short of a miracle of sorts. For innumerable people in Bundelkhand, the tank in the fort holds the same sanctity as Prayag in Allahabad for Hindus across the world. The annual fair on Kartik Poornima draws multitudes from across the region including some who walk all the ways down from their homes some 200-300 kms away. There are innumerable places one could visit within the sprawling 8 sq.km campus of the fort. 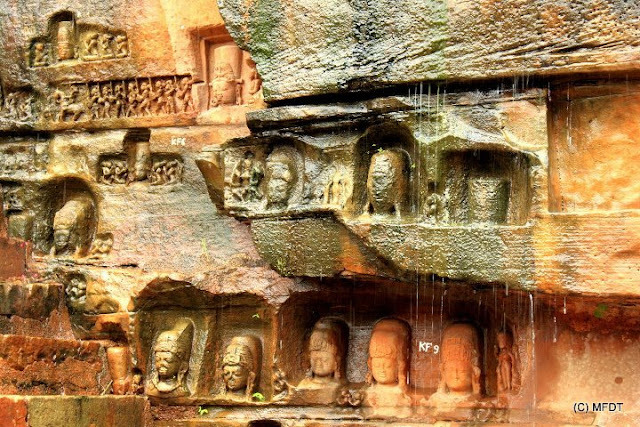 Some history enthusiasts even claim that there are places which are yet to be explored. The fort also boasts of some rock paintings which can only be reached with the help of rock climbing apparatus. 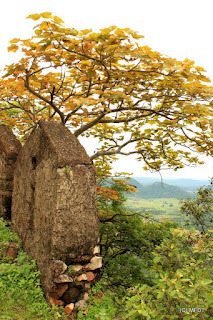 The latent possibilities of para gliding from the ramparts of the fort or trekking or rock climbing could boost the tourism prospects of the place and may draw attention towards its better conservation and upkeep. Shiva's wedding procession with the groom on the horse! A giant carving of Shiva. 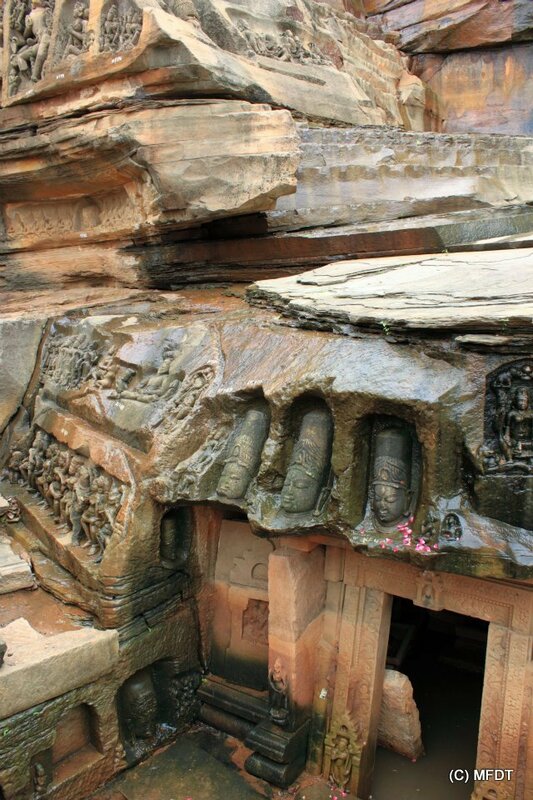 Notice the inscription at the foot of the relief. The very fact that a deity could be represented in so many distinctive and elaborate forms is commendable in itself. Add to that the difficult terrain and harsh climate, one can not help but feel the fort could not have been possible without some kind of divine intervention. 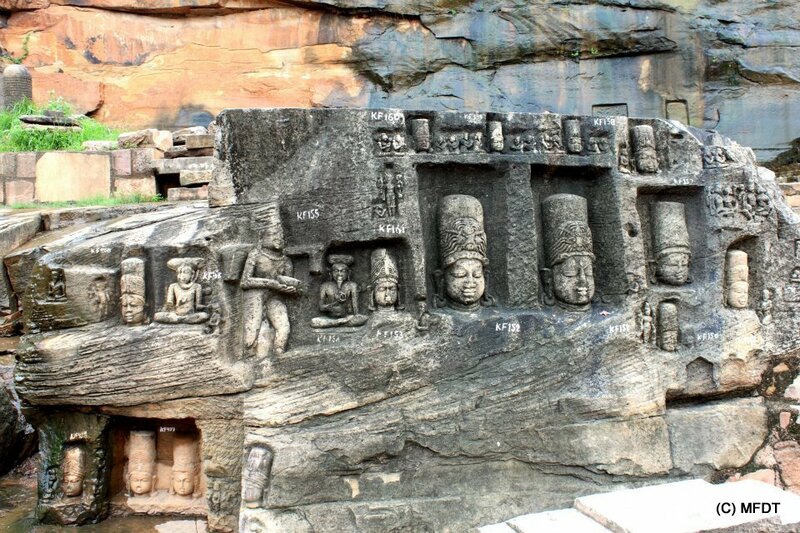 It seems as if an entire civilization has been fossilized (sculpted) in rock at an instant of history and has remained in a time warp since then. 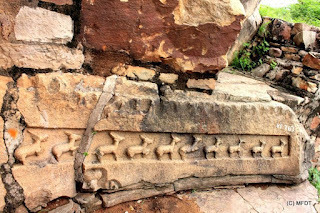 Some of the most important inscriptions in the Indian history have been found in Kalinjar. Few seem to remember that the mighty emperor Sher Shah Suri (of Grand Trunk Road fame) lost his life in 1545 at Kalinjar in a bid to capture the fort. It is believed that after having drank the poison which emerged from the mythological churning of the ocean, Lord Shiva could not find peace anywhere till he took a dip in the tank in Kalinjar. 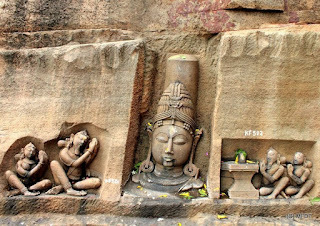 Interestingly, to corroborate the myth, priests will show you how the throat of the rock sculpture of the presiding deity (Neelkanth) inside the main temple is always moist to touch, even in the driest summer months! 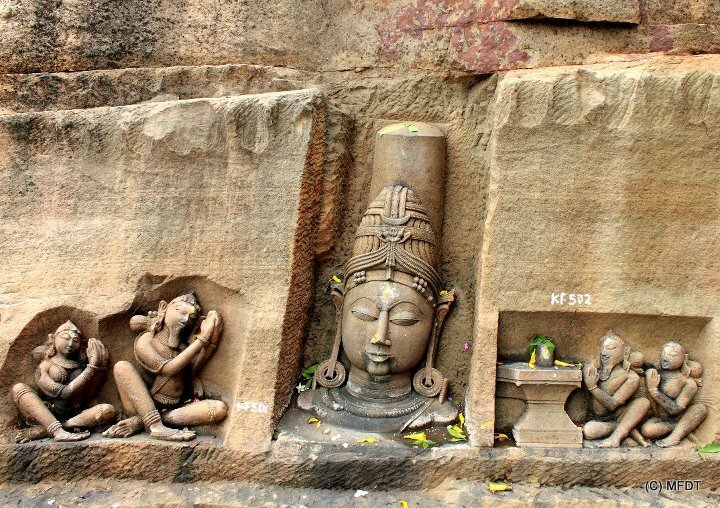 Today only the ruins of the last storey of the sanctum sanctorum (Neelkanth Temple) survive. Historians believe that the temple was once seven storeyed and was destroyed in a earthquake. The ruins and pillars dotting the slopes of the hill seem to attest the same. Yet, whatever survives of the once magnificent shrine is no less impressive and speaks volumes about the splendid architectural and aesthetic sense of Chandelas. 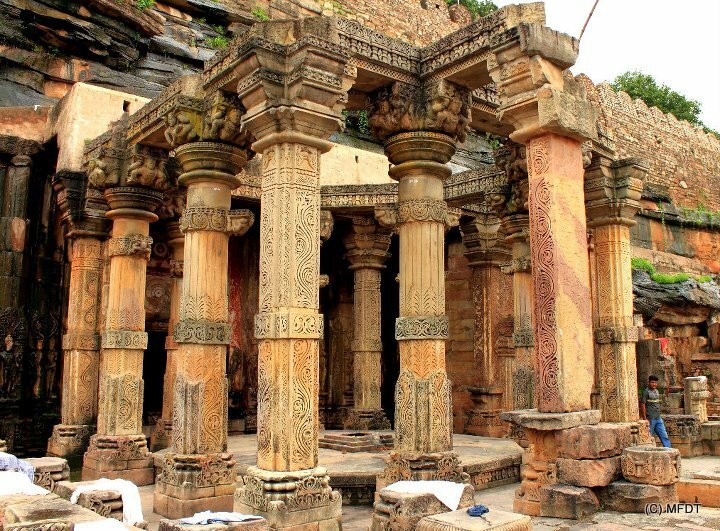 The richly carved columns of the shrine bear silent testimony to the ravages of time. 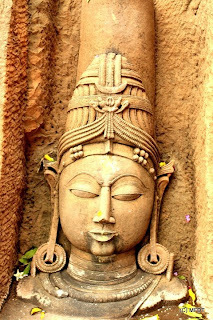 The reason why Kalinjar finds mention even in Rig Veda as an important holy place can be gauged from the fact that the serenity and the isolation of the place offer perfect ambience for meditation and worship. Even today there are innumerable nooks and caves which dot the landscape and makes one feel as if the place has been chosen as a permanent abode by the gods. While Kalinjar has all this and lot more to offer, the present condition of the ruins inside the fort seem to convey an altogether different story of theft and neglect. Till 2011, while I got posted there, the current guardian of the fort ASI had left the entire precincts to the custody of a single watch man. 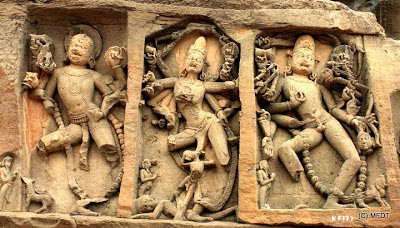 In the name of a museum, several valuable sculptures and relief panels have been locked inside a single courtyard by ASI and few except bats and owls are permitted entry. 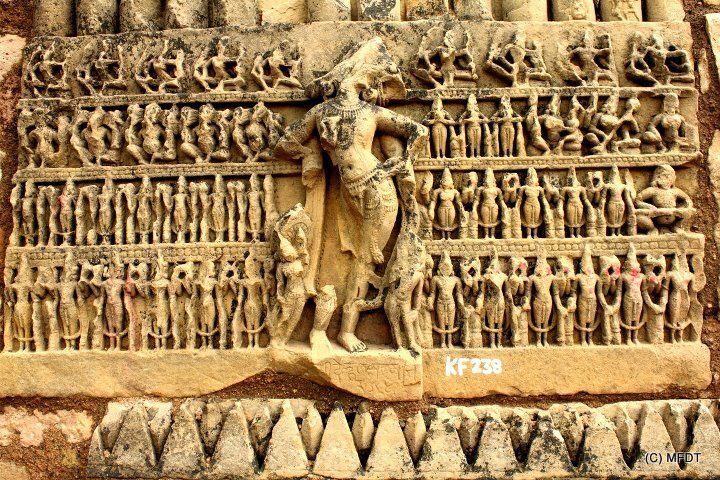 Innumerable panels and small sculptures of immense historical value lie strewn about the place. 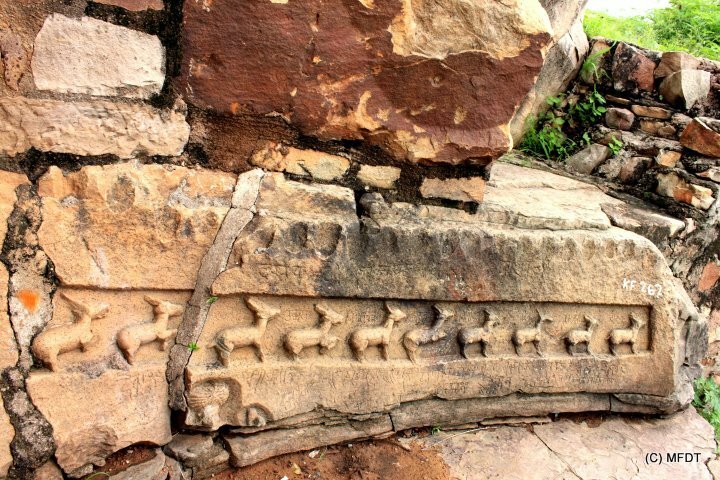 In the name of so called 'conservation efforts', ASI has marked all the carvings in the fort with an ugly signage of KF in white paint. Superb. Kalinjar in rains is incredible. Simply amazing! The multi-hued nature of the panels is unique too!